Solid machined "Smoke" acid patinated brass with recessed hex-head fasteners, blush (pink) leather wrapped top. All material finishes are living finishes: they will change and patina for the better with time and use. 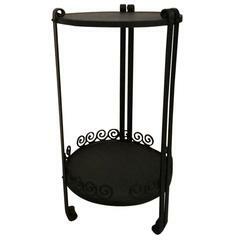 Petite sized to pull up next to a sofa or reading chair; works well as a drink tray or book stand. 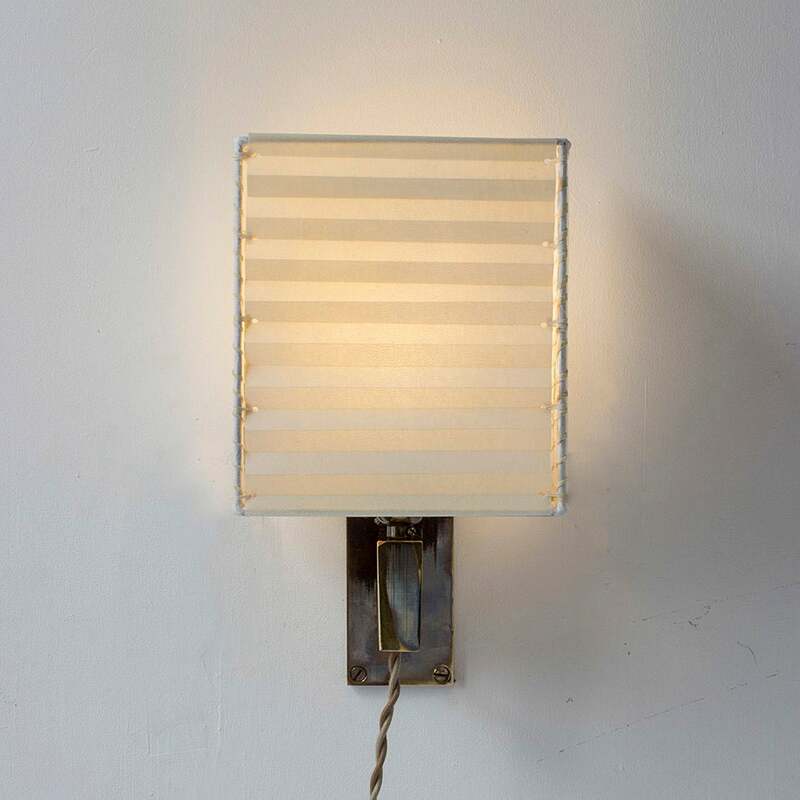 Every product is individually hand assembled; slight variations in color, size and shape are to be expected. Overall size 20”H x 12”D x 8-1/2” W. "Smoke" acid patinated brass components can be buffed with a soft dry cloth. Leather top is waxed and can be rebrightened over time by buffing with a soft dry cloth. Never clean with any liquid products or detergents. Each piece is made to order; returns are not accepted. 6 week lead time. Please confirm brass finish and leather color when placing order; price shown for "Smoke" acid patinated brass. 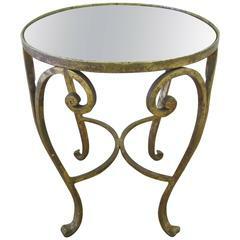 A small and convenient round brass plated metal and glass side or drinks table with lower shelf. Table measures: 17" height x 12.25" diameter. French Art Deco wrought iron side table. Having two tiers with beautiful deco details. 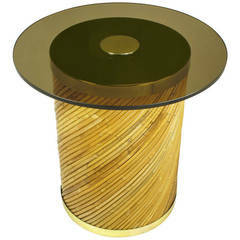 Reeded bamboo on a diagonal plane covering a wooded cylinder. Brass capped top and bottom with a dark tinted glass surface. Centre drilled with a brass disc holding the glass in place.